Once operational, the plant is expected to bring down the cost of one of the key farm inputs. The factory, which has been funded through a public-private partnership between the government of Kenya and Toyota Tsusho East Africa, is meant to streamline manufacturing, supply and distribution of the vital farming ingredient. 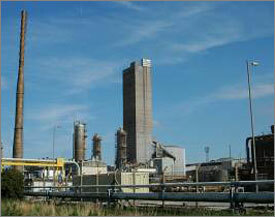 "We expect the cost of production to drastically reduce upon the completion of the local plant. It is estimated that 40 per cent of the cost of fertiliser is due to freight and port handling charges," said Gituro Wainaina, acting director of the Vision 2030 Delivery Secretariat. Toyota Tsusho is financing the construction of the plant which will be initially spread over approximately 8,100 sqm of land. The Japanese company plans to expand it to about 20,250 sqm in the future, said Dennis Awori, chairman of Toyota East Africa. Eldoret has been chosen as the location for the new plant for easy access to the road infrastructure, both to bring in raw materials and to transport the finished products to the market. The high consumption of fertilisers in the region is another reason for setting up the factory there. In the first phase, the plant will manufacture NPK fertiliser and will start producing diammonium phosphate, urea and CAN fertilisers in its second phase. Jackson Mandago, governor of Uasin Gishu County, said the factory would solve the inconsistent supply of fertiliser and also bring down its cost which is currently prohibitive for many farmers.